On September 16th, Michael Hall sent out a call for nominations for the Ubuntu Community Council. I will not be seeking re-election this time around. My journey with Ubuntu has been a long one. I can actually pinpoint the day it began, because it was also the day I created my ubuntuforums.org account: March 12th, 2005. That day I installed Ubuntu on one of my old laptops to play with this crazy new Debian derivative and was delighted to learn that the PCMCIA card I had for WiFi actually worked out of the box. No kidding. In 2006 I submitted my first package to Debian and following earlier involvement with Debian Women, I sent my first message to the Ubuntu-Women mailing list offering to help with consolidating team resources. In 2007 a LoCo in my area (Pennsylvania) started up, and my message was the third one in the archives! As the years went by, Ubuntu empowered me to help people and build my career. In 2007 I worked with the Pennsylvania LoCo to provide 10 Ubuntu computers to girls in Philadelphia without access to computers (details). In 2010 I joined the board of Partimus, a non-profit which uses Ubuntu (and the flavors) to provide schools and other education-focused programs in the San Francisco Bay Area with donated computers (work continues, details on the Partimus blog). In 2012 I took a short sabbatical from work and joined other volunteers from Computer Reach to deploy computers in Ghana (details). Today I maintain a series of articles for the Xubuntu team called Xubuntu at… where we profile organizations using Ubuntu, many of which do so in a way that serves their local community. Most people also know me as the curator for the Ubuntu Weekly Newsletter, a project I started contributing to in 2010. Throughout this time, I have worked as a Linux Systems Administrator, a role that’s allowed me to build up my expertise around Linux and continue to spend volunteer time on the projects I love. I’ve also have been fortunate to have employers who not only allow me to continue my work on open source, but actively encourage and celebrate it. 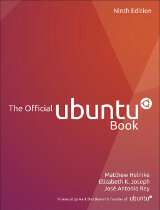 In 2014 I had the honor of working with Matthew Helmke and others on the 8th edition of The Official Ubuntu Book. Today I’m working on my second open source book for the same publisher. I share all of this to demonstrate that I have made a serious investment in Ubuntu. Ubuntu has long been deeply intertwined in both my personal and professional goals. Unfortunately this year has been a difficult one for me. As I find success growing in my day job (working as a systems administrator on the OpenStack project infrastructure for HP), I’ve been witness to numerous struggles within the Ubuntu community and those struggles have really hit home for me. Many discussions on community mailing lists have felt increasingly strained and I don’t feel like my responses have been effective or helpful. They’ve also come home to me in the form of a pile of emails harshly accusing me of not doing enough for the community and in breaches of trust during important conversations that have caused me serious personal pain. I’ve also struggled to come to terms with Canonical’s position on Intellectual Property (Jono Bacon’s post here echos my feelings and struggle). I am not a lawyer and considering both sides I still don’t know where I stand. People on both sides have accused me of not caring or understanding the issue because I sympathize with everyone involved and have taken their concerns and motivations to heart. It’s also very difficult to be a volunteer, community advocate in a project that’s controlled by a company. Not only that, but we continually have to teach some of employees how to properly engage with an open source community. I have met many exceptional Canonical employees, I work with them regularly and I had a blast at UbuCon Latin America this year with several others. In nearly every interaction with Canonical and every discussion with Mark about community issues, we’ve eventually had positive results and found a successful path forward. But I’m exhausted by it. It sometimes feels like a game of Whac-A-Mole where we are continually being confronted with the same problems, but with different people, and it’s our job to explain to the Marketing/Development/Design/Web/whatever team at Canonical that they’ve made a mistake with regard to the community and help them move forward effectively. We had some really great conversations when a few members of the Community Council and the Community Team at Canonical at the Community Leadership Summit back in July (I wrote about it here). But I was already feeling tired then and I had trouble feeling hopeful. I realized during a recent call with an incredibly helpful and engaged Canonical employee that I’d actually given up. He was making assurances to us about improvements that could be made and really listening to our concerns, I could tell that he honestly cared. I should have been happy, hopeful and encouraged, but inside I was full of sarcasm, bitterness and snark. This is very out of character for me. I don’t want to be that person. I can no longer effectively be an advocate for the community while feeling this way. It’s time for me to step down and step back. I will continue to be involved with Xubuntu, the Ubuntu News Team and Ubuntu California, but I need to spend time away from leadership and community building roles before I actually burn out. I strongly encourage people who care about Ubuntu and the community to apply for a position on the Ubuntu Community Council. We need people who care. I need people who care. While it’s sometimes not the easiest council to be on, it’s been rewarding in so many ways. Mark seriously listens to feedback from the Community Council, and I’m incredibly thankful for his leadership and guidance over the years. Deep down I do continue to have hope and encouragement and I still love Ubuntu. Some day I hope to come back. I also love you all. Please come talk to me at any time (IRC: pleia2, email: lyz@ubuntu.com). If you’re interested in a role on the Ubuntu Community Council, I’m happy to chat about duties, expectations and goals. But know that I don’t need gripe buddies, sympathy is fine, but anger and negativity are what brought me here and I can’t handle more. I also don’t have the energy to fix anything else right now. Bring discussions about how to fix things to the ubuntu-community-team mailing list and see my Community Leadership post from July mentioned earlier to learn more about about some of the issues the community and the Community Council are working on. This entry was posted on Tuesday, October 6th, 2015 at 9:36 am and is filed under tech, ubuntu planet. You can follow any responses to this entry through the RSS 2.0 feed. Both comments and pings are currently closed. You are a wonderful person and have done excellent work. Thank you. You will be a benefit to whatever projects engage your attention in the future. you did an amazingly good job, but when it stops being fun it is time to quit volunteering because it just turned into unpaid work. I totally agree with you about Mark and Canonical, though for me it was other people in the community that made it not-fun rather than Canonical fold. THanks for your work of all these time and your UbuConLA visit! I enjoy reading everything you write and you have increased the value of Ubuntu in my life. Over the last few years Canonical has moved their focus from the Desktop/Everyday user to the more profitable enterprise market and increased the distance with the community. I understand your frustration. Thanks for all you’ve done to help us in Pittsburgh and in Ghana with your support of our Ubuntu efforts. You will be missed … But on the other hand, we know where to find you! Thank you Lyz for all you’ve done to help us in Pittsburgh and in Africa. And now with our latest release of Xubuntu. You have been incredibly generous with your time and energy and long have contributed your good judgement and cool head to the Ubuntu community. Thank you very much for all you have done for Ubuntu and for the charities you have helped. Thanks as well for being willing to contribute further to Xubuntu, the California project, and the news team. Fantastic post, thanks for sharing your experience. I’m one of those people who have criticized the CC, and I like that you explain about not being a lawyer and echo’ing recent sentiments on the IPrights policy. I think that Canonical (the SABDFL specifically) is too controlling of the CC and that the CC haven’t been empowered to represent the community adequately. I have also felt before that CC members should’ve spoken out against this more often, but Canonical doesn’t take criticism well and I think it’s understandable that people were too scared to speak up. With all due respect, Jonathan: how would you know? Were you part of discussions within the CC? Did you read their internal mailing list? Did you talk to CC members privately to find out? “Canonical doesn’t take criticism well” and “people were too scared to speak up” maybe makes a good news story, but that’s all there is to it. The CC spent months of talking this over, reading docs and getting insights from various people who are involved. There was no intimidation from Canonical or anyone on the CC, our working atmosphere was relaxed and everybody could ask all the questions they had. What made this hard for CC members was the negativity and flak they were getting outside. What you’re basically saying is “I disagree with the outcome, therefore Canonical must have scared CC members into complying”, which is not only wrong on the argument level, it’s also very rude and disrespectful to all of us who spent weeks and months working on this (including Mark and others). Hey Daniel. Thanks for taking the time to reply. No, I was not privy to any CC private discussions, but yes, I did speak to two CC members privately over the last year who have expressed to me (and it basically came down to) that there’s very little they can do in the framework of the CC to address big community concerns. I’m not saying what you imply in the last paragraph. What I’m saying is that there isn’t a CC where concerned Ubuntu members can feel comfortable going to with big problems. It usually gets dismissed with whatever Canonical wants for themselves. At a count, if you had to guess, how many Ubuntu members are happy and satisfied with the IPRights policy and how it was implemented? My guess is that it’s probably less than you think. My guess is that it is also probably more than you think. I am certainly satisfied with the work of the CC in this matter. I’ll echo what Jonathan said and I to have heard from to CC members that they didn’t feel empowered or supported to tackle the issues they wanted. 1. No one at Canonical has ever made me feel “too scared to speak up” or that I was being controlled, but some community members have and I’ve had to stop engaging with them. 2. I have sometimes felt powerless (even hopeless) to change some things while on the CC. But with discussion, time and effort we were typically able to make progress. Most of the time it was just finding the right person to talk to and finding a way to work with them that would yield the results we needed. I’m just exhausted by this process and wish it were easier. Thanks for all you have done! You brought great value to Ubuntu and still do in whatever role you continue on in. Your friendliness and leadership was a big reason I nominated you for the O’Reilly Open Source award you won and deserved. Elizabeth, thanks for all you have done for the GNU-Linux community in general and for your work at CC. As a relatively simple end user myself, I moved to Ubuntu from SuSE because there was such a great community. For people at my skill level, community makes the difference between being able to use my machine or owning a dead brick. I hope that Mark and the CC and the Canonical team will listen to your thoughts, because community is the key to the success of Ubuntu. Heck, community is actually the MEANING of the word Ubuntu. To Mark and the CC and the Canonical team, please remember that we simple end users need you, but you need us, too, because we drive your success. Thanks again, Elizabeth, you always elevate any conversation of which you are a part. We are so grateful to have you as a leader in Partimus.org. Thanks for all you have done for Ubuntu. I’ve enjoyed the UDS’s, UOS’s, Community Weeks, Global Jams, and other occasions where we’ve collaborated over the years. I hope that the new projects and places that you focus on are great and bring you the happiness and gratification that you deserve. Life’s too short to stay in a place where you don’t feel energized. Thank you for all of your contributions to Ubuntu. Please permit me to echo the others in thanking you for all of your hard work and contributions to the Ubuntu community. I wish you well in the future. Thank you for all your work in Ubuntu Women and the CC, and the countless other places you have contributed. It is really important to step back when it stops being fun! So thanks once again for being a good example here. I wanted to thank you, Lyz, for all you’ve done as an advocate for free software. From South Africa… thank you so much for your contributions and for keeping me on track ‘specially with news and Xubuntu. May this next season be more rewarding! Hi from Italy! Thanks for your great work, hope to “see” you again one day in the Ubuntu CC. Entries (RSS) and Comments (RSS). 29 queries. 0.112 seconds.